Summer is the season of weddings and outdoor parties. 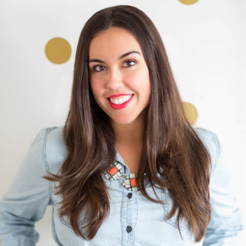 It can be a bit tough to dress kids in the appropriate attire, so I’m here to help with some of my favorite pieces for boys and girls alike. No matter if your kids are the flower girl, ring bearer, or just guests enjoying the celebration, make sure they look put together while doing so! This white jeweled dress from J. Crew is perfect for a flower girl. I love how chic the cut is. 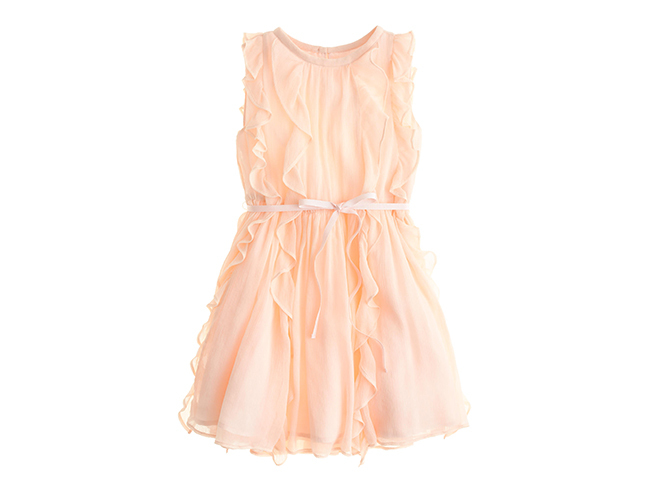 You can’t go wrong with pretty peach ruffles. This is such a beautiful color for summer! This dress is also from J. Crew (my favorite!). 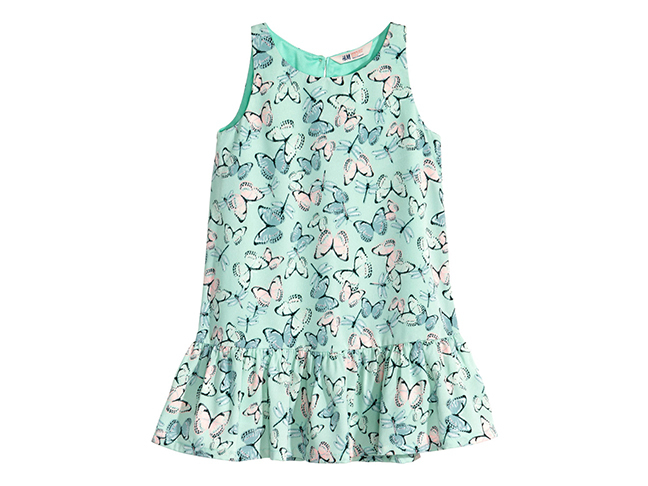 I love dressing my little girl in fun prints, like this butterfly dress from H&M. This is a great (affordable!) choice for an outdoor garden party. 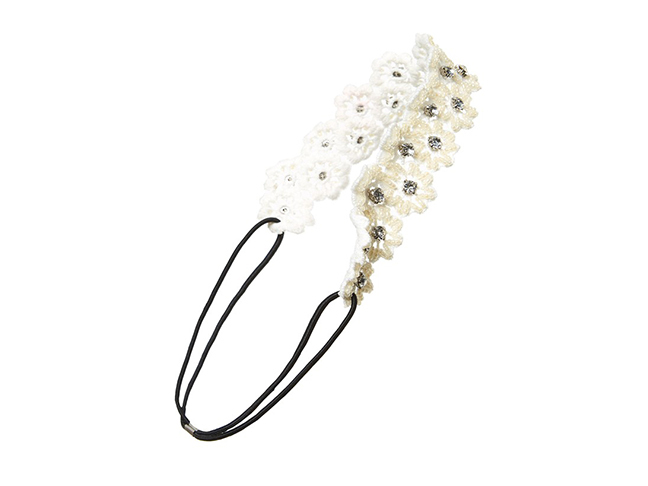 A beaded floral headband can dress up any outfit and give your little girl a cute hairstyle in an instant. This stretchy one is from Nordstrom. 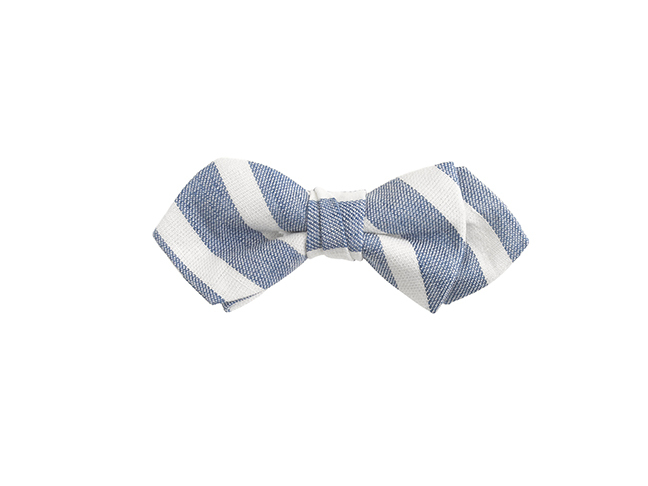 I can’t wait for my newborn baby boy to be old enough to wear a bow tie. They are just so cute! This one from Nordstrom is great for a nautical wedding. 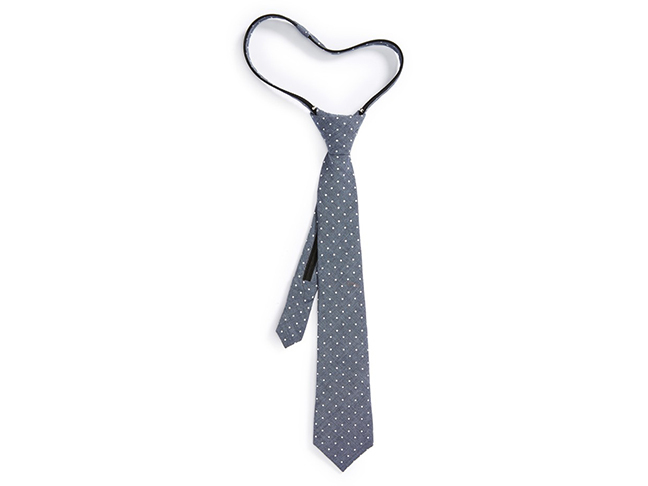 Zipper ties are such an easy trick for little boys. 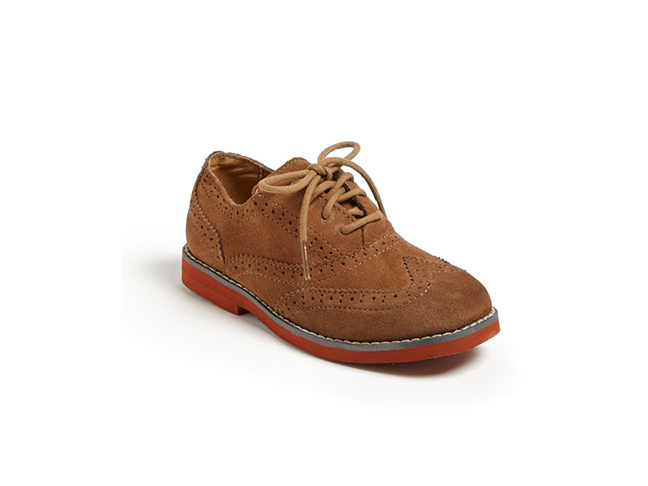 Boys of any age can even slip them on themselves with little-to-no help! 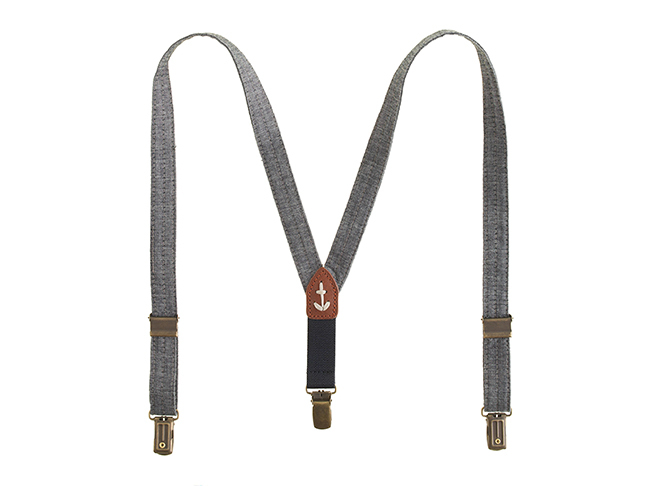 If the event is a little more casual or if it’s too hot to wear a blazer, suspenders are a great accessory to a short sleeved shirt.